A set of twins who claim Mark Zuckerberg stole their idea for Facebook can't back out of a legal settlement after their case was reviewed by an appeals court. Casey and Tyler Winklevoss were awarded a court settlement in 2008, now worth $160m, but have continued to battle, arguing they should have received more Facebook shares as part of the deal. Now an appeals court judge has ruled that the litigation must come to an end, and Facebook won't be held further accountable to the twins and fellow claimant Divya Narendra. 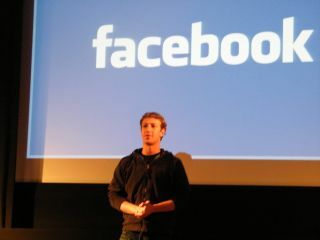 The three started the ConnectU website while at Harvard and have always maintained that Mark Zuckerberg ripped-off the idea when starting Facebook. The company has always denied these claims. Chief Judge Alex Kozinski, writing for the three-judge panel, said: "The Winklevosses are not the first parties bested by a competitor who then seek to gain through litigation what they were unable to achieve in the marketplace. "And the courts might have obliged, had the Winklevosses not settled their dispute and signed a release of all claims against Facebook. "At some point, litigation must come to an end. That point has now been reached." Facebook has expressed pleasure at the verdict through lawyers, while representatives of the twins have yet to comment on the verdict which ends their chances of squeezing more out of the settlement.